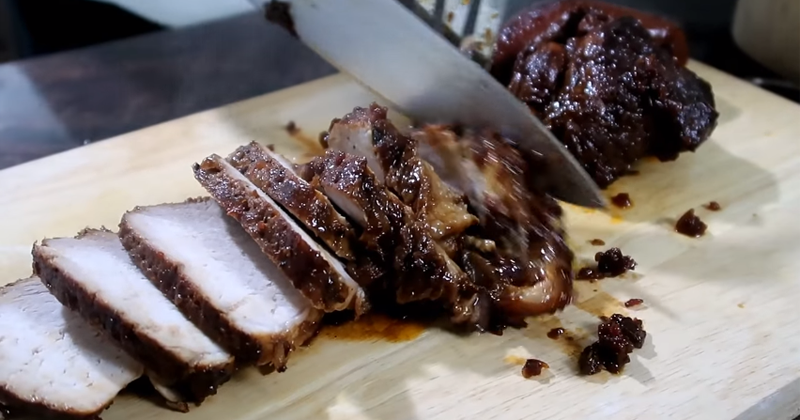 Pork asado is originally a Chinese recipe that has a version made by Filipinos. Combine soy sauce, five spice powder, garlic and salt then mix well. Marinade the pork in the combined mixture for at least 1 hour.Heat a cooking pot then put-in the pork along with the marinade and water then let boil. Add bay leaf and star anise.Add brown sugar and stir to distribute evenly.